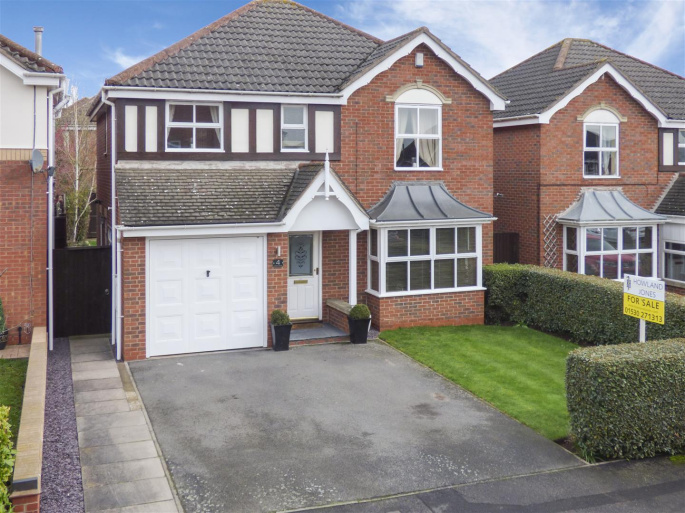 ** NO UPWARD CHAIN ** Howland Jones are delighted to present this BEAUTIFULLY PRESENTED Four bedroom detached property on a quiet cul-de-sac within a short walking distance of two primary schools . 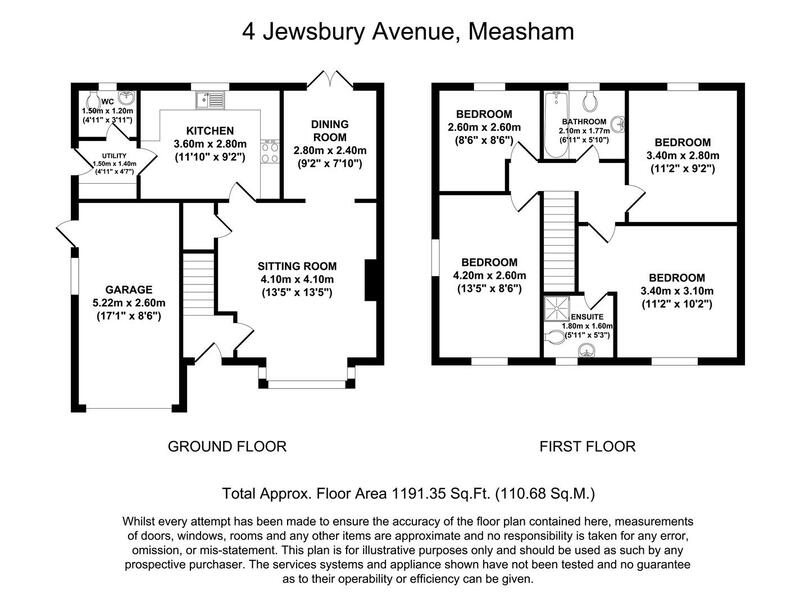 Ideally located at the opposite end of Measham from the proposed HS2 rail line, this is a MUST SEE home that has been maintained to an excellent standard which offers; a SPACIOUS lounge with separate dining room, modernised kitchen, utility room and downstairs WC. 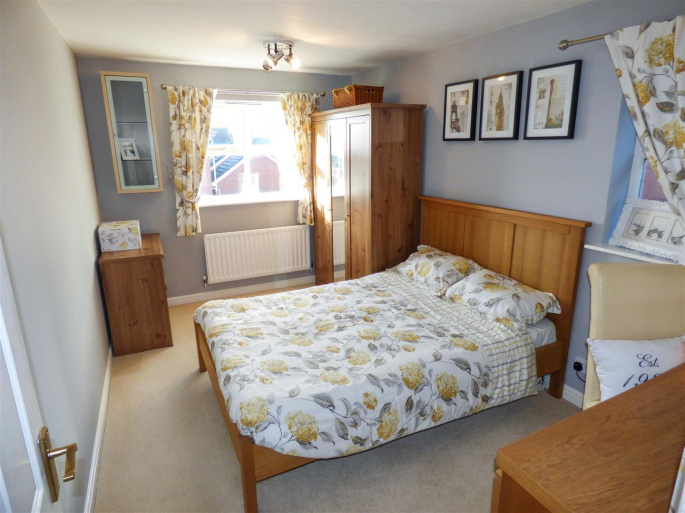 Three GOOD SIZED double bedrooms and one single. Master bedroom with en-suite. 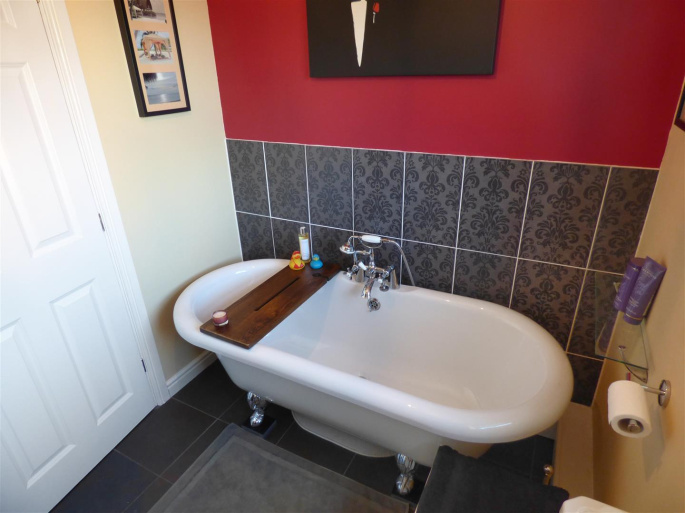 Modernised family bathroom with free-standing roll-top bath. Single integral garage plus off-road parking for two cars. 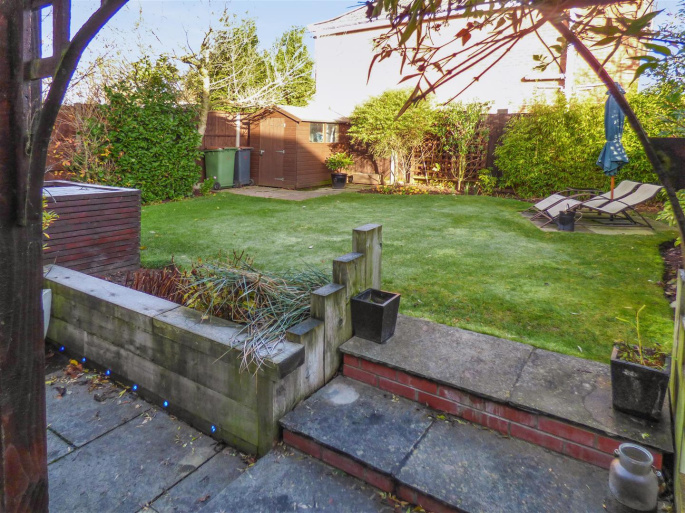 Delightful landscaped rear garden which is not over looked with pergola and paved seating area. 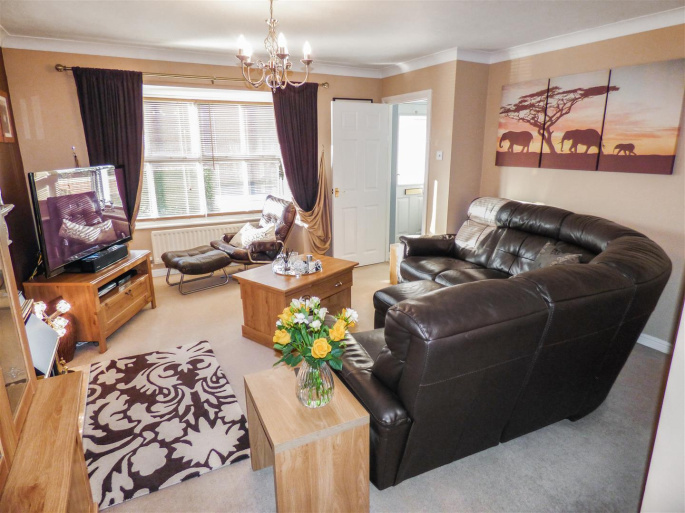 Gas central heating and well maintained double glazed wooden framed windows throughout. 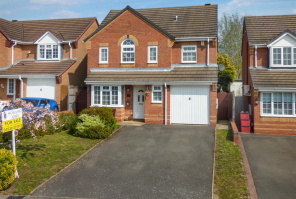 The property is ideally situated on a quiet cul-de-sac and is laid back from the road with a front garden and a drive way for two cars. The garden is very well maintained and is mainly laid to lawn with a surrounding mature hedge which offers some privacy. The entrance into the property is via a canopy porch and a double glazed front door with patterned frosted glass to the top half. 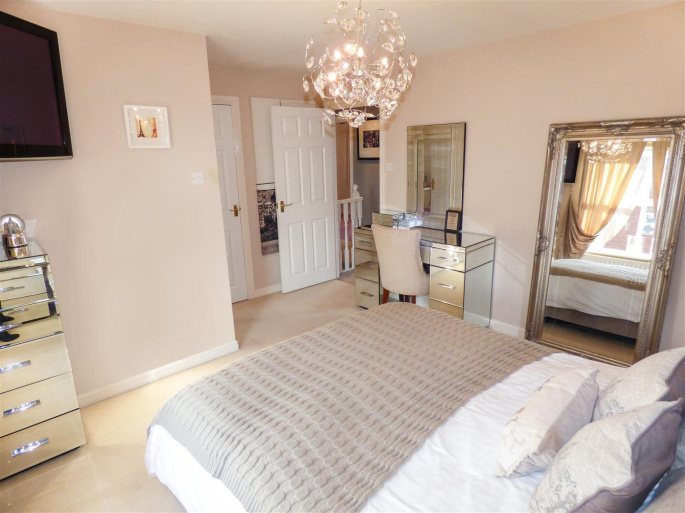 Once inside the property you will enter the hallway where you will find the security alarm panel, a heating thermostat, a telephone point, decorative coving to the ceiling and one central heating radiator. The entrance hall has stairs rising to the first floor accommodation and a door leading into the lounge. 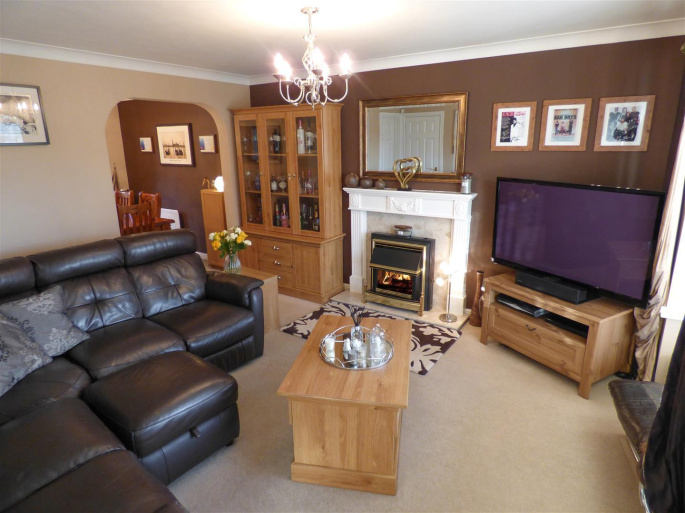 At the front of the property, you will find a spacious family lounge with notable features such as; a fire place with an antique style black and brass gas fire with a pale beige marble hearth and a white painted wooden surround and mantle piece. 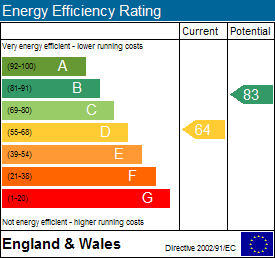 A large double glazed bay window to the front elevation, an under-stairs storage cupboard, a TV aerial point, decorative coving to the ceiling and two central heating radiators. There is a door leading through to the kitchen and a walk-through open arch way leading in to the dining room. 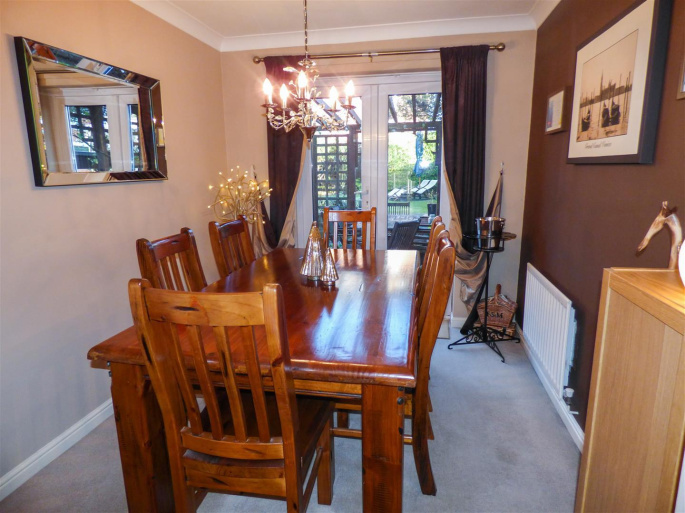 There is a good sized dining room with double glazed UPVC French doors leading out to the rear garden and the patio area. 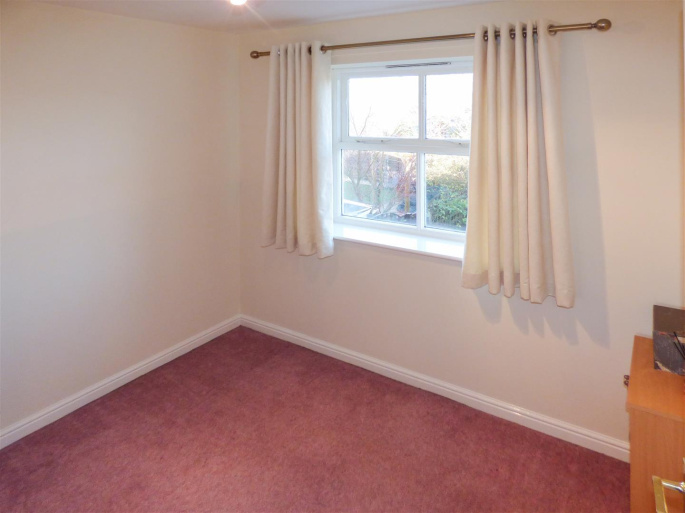 This room is also fitted with decorative coving to the ceiling and has one central heating radiator. 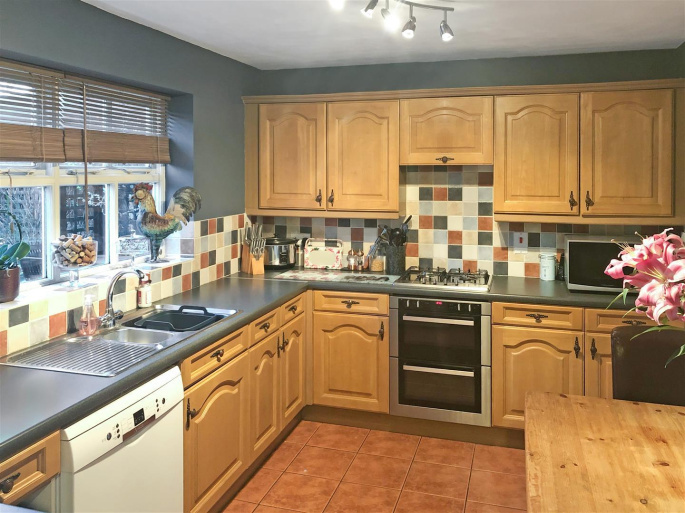 At the rear of the property you will find a spacious and well presented family kitchen which has been tastefully modernised and decorated. There are Terracotta coloured ceramic floor tiles and a range of wall and base units in solid wood with antique metal handles. The laminate roll-top work surfaces are finished in a grey granite effect and have spaces for appliances below and there are multi-coloured square splash-back tiles above. 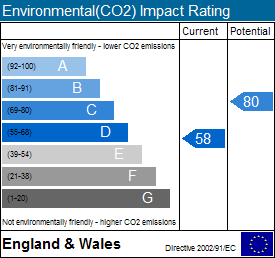 There is an integral double electric oven, a four-ring gas hob and an extractor hood above. 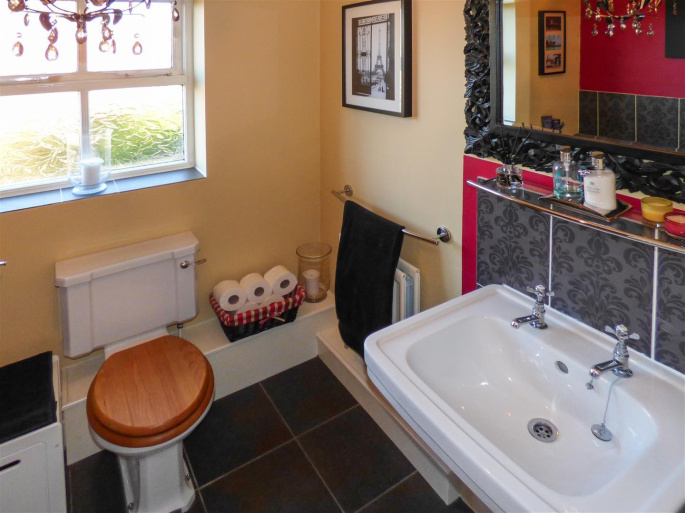 You will also find a stainless steel one-and-a-half sink with drainer and a chrome mixer tap, one large double glazed window over looking the back garden, and one central heating radiator. There is a door leading through to the utility and the downstairs WC. The utility room has matching ceramic floor tiles to the kitchen and the same work tops with spaces for two further appliances below. Above the work top is a mixture of white and pale beige/blue splash-back tiles, the central heating control panel and the gas boiler. Below the work tops there is plumbing for a washing machine and an external vent for a tumble dryer. You will also find a double glazed door with frosted glass leading out to the left hand side access path and one central heating radiator. 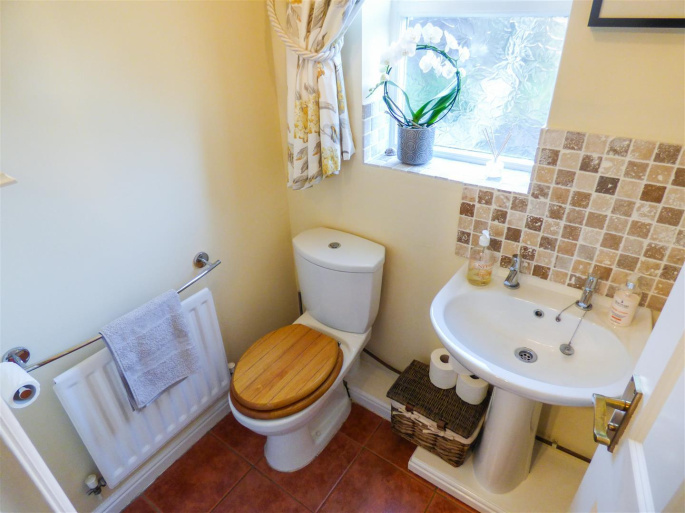 This room has the same ceramic tiled flooring as the utility and kitchen and is fitted with a white low level WC with a chrome push flush and a wooden seat, a white pedestal sink with two modern chrome taps and sand / stone coloured ceramic splash-back tiles. There is a double glazed window to the rear elevation with frosted courtesy glass and one central heating radiator. Rising from the entrance hallway the stairs have a wooden handrail and the landing has white wooden balustrades and a banister. There is an access hatch to the loft space and there are doors leading off to the four bedrooms and the family bathroom. 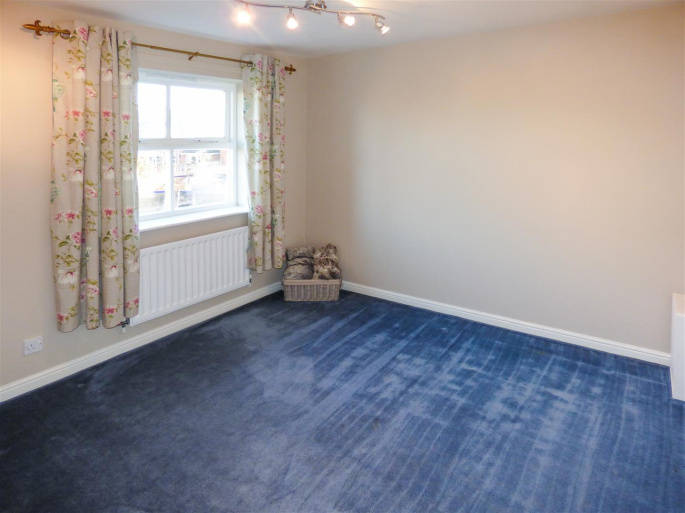 To the front of the property is a spacious master bedroom which has a large double glazed window to the front elevation, a door leading to the airing cupboard and a door leading in to the en-suite. You will also find a TV aerial point and one central heating radiator. 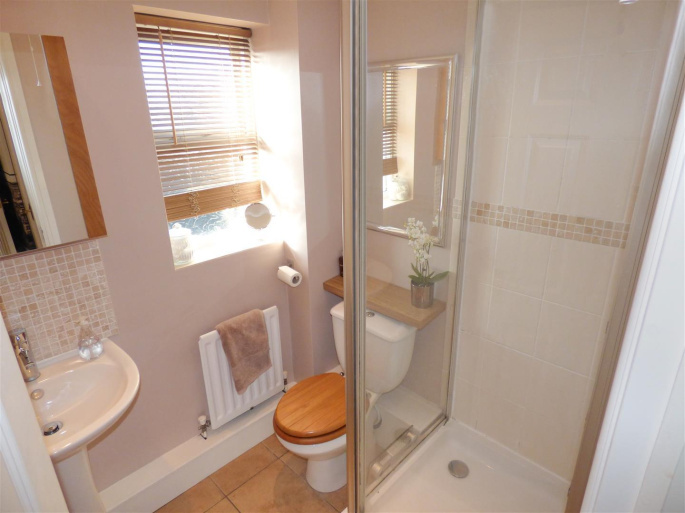 The en-suite has large sand coloured ceramic floor tiles and cream ceramic tiles to the window sill. There is a chrome and glass corner shower cubicle with a pivot opening door and a contemporary chrome shower riser and a square drench head. There are light sand coloured ceramic tiles to the walls and a mid-height decorative border. You will also find a white low level WC with a chrome push flush and a wooden seat and a white pedestal sink with a modern chrome mixer tap. There is a shaver point, an extractor fan, one double glazed window with frosted courtesy glass to the front elevation, four sunken spot lights to the ceiling and one central heating radiator. 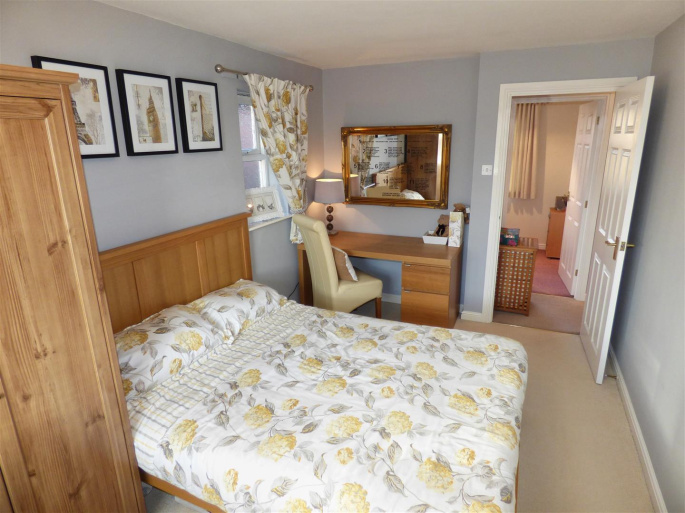 The second bedroom is a good size double room to the front of the property and has the unusual feature of having double aspect windows to the front and the left hand hand side. You will also find one central heating radiator. Bedroom three is another double room and over looks the back garden and has a double glazed window and one central heating radiator. 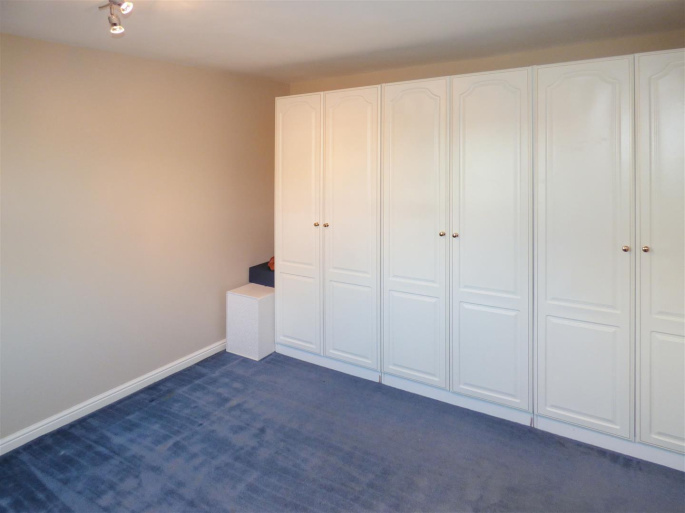 This room currently has three double wardrobes which are free-standing and are planned to be left with the property if required. 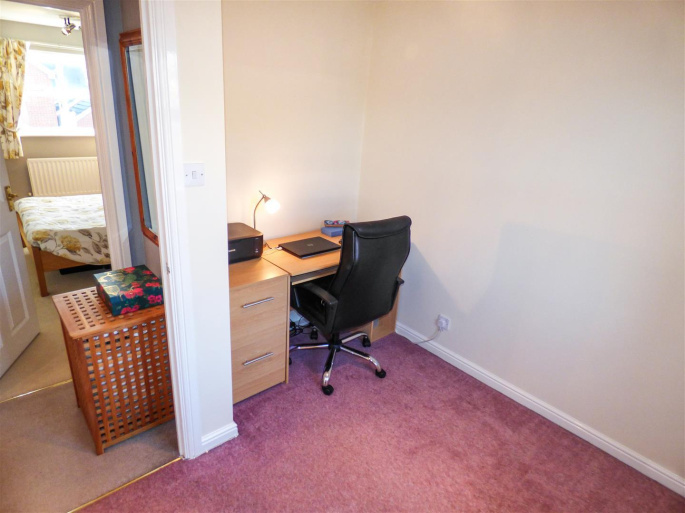 The fourth bedroom is also to the rear of the property and has one double glazed window and one central heating radiator. The most striking feature of this tastefully modernised bathroom is the white free-standing roll-top bath with a chrome antique mixer and shower head fitting set against waist height ceramic wall tiles in a mid to dark grey with decorative motifs. There is also an attractive contemporary square sink with chrome taps and splash-back tiles matching those behind the bath. 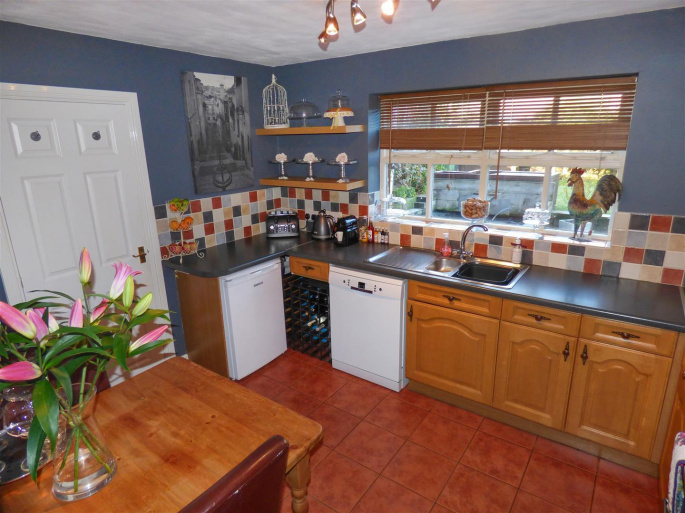 The flooring and the window sill have charcoal coloured ceramic tiles, there is one double glazed window to the rear elevation, a shaver point, an extractor fan and one central heating radiator. The rear garden has been beautifully landscaped and provides a lovely private space to enjoy. 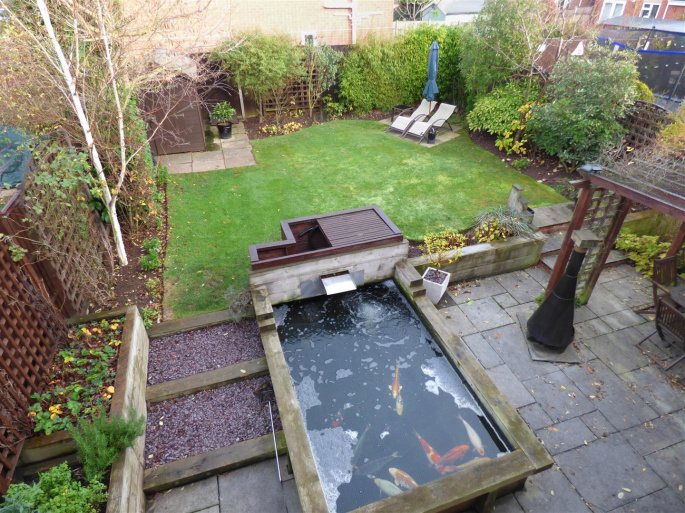 There is a large raised Koi carp pond with associated pumps and filters, a timber covered pergola and patio area, raised timber beds and a lawned area with mature shrub and flower borders. There is a paved seating area and and a paved base with a wooden shed. There is a paved access path and wooden gate down the left hand side of the property and there is a closed off storage space along the right hand side of the property. There is a single garage with an up-and-over front door, a side access door and power and lighting.